This summer has brought very high temperatures to New Jersey, making residents seek out solace at the beach and in swimming pools. A large number of residential properties in New Jersey have swimming pools on them, which is great to keep the entire family cool. However, it is important that residential pool owners take precautions to ensure that anyone who enters their pool is safe from the possibilities of falling in and drowning. As tragic as it is, it is estimated that roughly 350 children who are under the age of 5 drown in swimming pools annually. 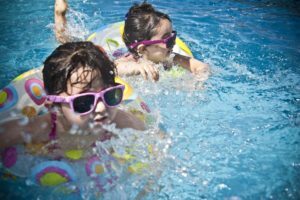 In response to those alarming rates, New Jersey enacted William’s Law, which requires residential pool owners to abide by regulations of swimming pool safety. A swimming pool must be entirely enclosed by a barrier, a wall, or a fence that is at least 5 feet tall. Additionally, the barrier shall not be able to fit a spherical object that is four inches in diameter through any openings. Individuals who fail to abide by these laws will be subject to a disorderly persons offense. This can be redacted if they have made a good faith effort to remedy the issue within 45 days. If you have been injured on someone else’s property due to negligence, contact us today.